This popular sterling silver heat tag bracelet with toggle clasp was inspired by a leading jewelry designer. Perfect for gift giving this holiday season, this solid sterling silver bracelet is 7 inches long with 6.5mm wide links. Suspended on this sterling silver heart tag bracelet is a 21mm wide heart tag perfect for engraving. Need an engraved heart tag bracelet? 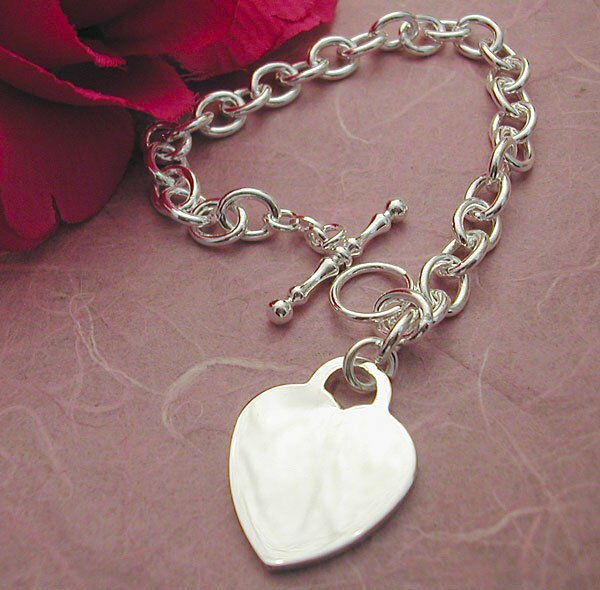 Our sterling silver heart tag bracelet is available with or without engraving.